I should spend a few words about the abundance of local products and groceries we are lucky enough to find here in Tuscany! Local markets (a very nice one takes place on Sunday morning at the square in Panzano in Chianti) are a pure delight and a good opportunity, especially for our visitors from abroad, to discover sometimes unknown local type of food. 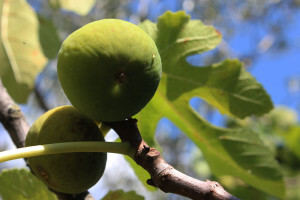 Every season brings its own cargo of fruits and vegetables, cheeses, meats and fish. 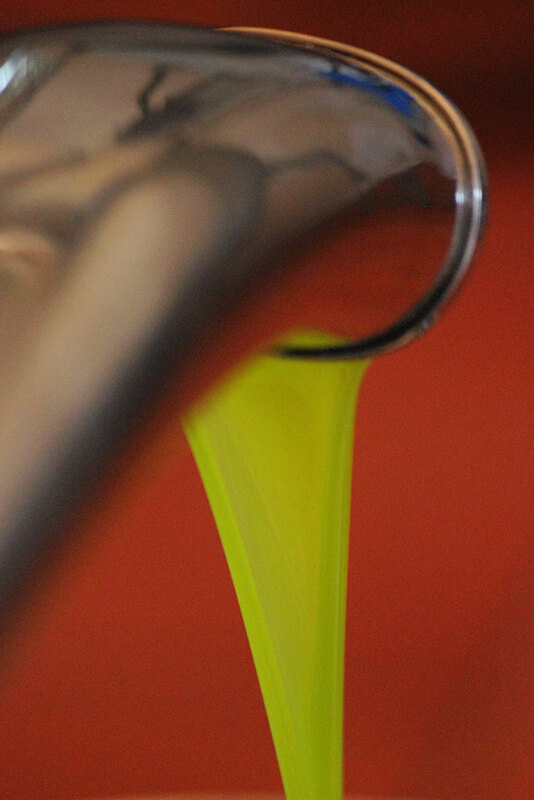 For healthy dishes of the Mediterranean Diet it is essential to use exclusively seasonal products which grow locally and are not imported from far away by plane all year round. This assures Life Quality, health and a balanced diet. Step inside a small shop, welcomed by a sonorous “buongiorno” or “buonasera” and you discover a small albeit rich world of local products: fresh eggs from hens living outside in the fields, marmelades made out of tasty and sun ripened fruit, shapes and sizes of pasta you´ve never seen before, rich sausages waiting for a barbecue.. those places are the best way for all of us to experience and taste those precious, edible treasures which enrich the Italian culture: FOOD! We are lucky enough to enjoy a good variety of seasonal choices starting early spring with light green fresh SPINACH and local HERBS to cook, the flat shaped PEACHES in July and August (locally called “tobacco pot”), the juicy and sugary GRAPES in August and September, later in the year the much awaited Porcini MUSHROOMs, our intense scented new olive oil in November (a visit to a mill at that time of the year is a must.. ), the black cabbage (cavolo nero) which is best after the first frost in November etc. Sure, you can get everything all year round in your supermarket, but once you have tried the variety of local tomatoes in July and August, you won`t forget their taste anymore. All ingredients for healthy food can be prepared using easy recipes…better still, come to Tuscany and enjoy our products. If you would like to learn more, don`t hesitate to ask. Chianti & more provides cooking classes and food experiences with professional Chefs. 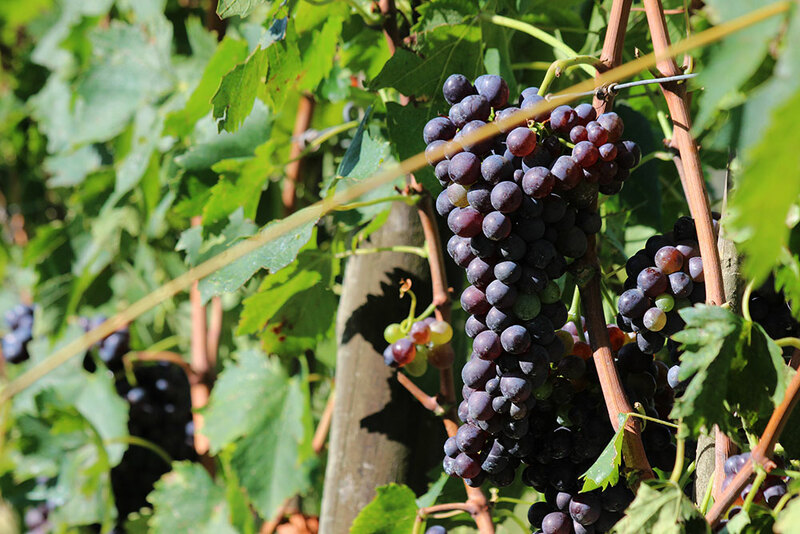 Nearly done – the grape harvest! Even if the weather has not been perfect at all, the great ability of nature to adapt is always astonishing! 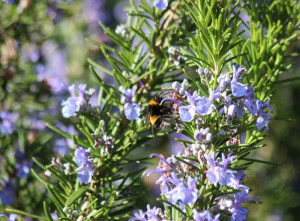 A late frost in April damaged the flowering plants in lower and cooler locations, e.g. close to creeks, then from May to September we suffered an extremely dry summer without any rain and unusual high temperatures. All these “ingredients” did stress our vineyards (and the wine makers, too…) but again, the forecast promises well. It is said that due to the lack of water the production 2017 dropped between 20% and 50%, anyhow, the 2017 Chianti Classico will be a memorable vintage. As usual it is a busy time, a difficult balance between perfect timing in harvesting the grapes and right decision to make: which variety of grapes will be picked up when? 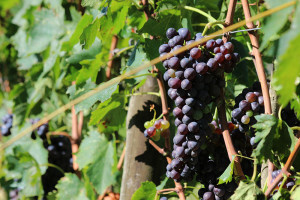 First the white grapes, of course, followed by Merlot, while the local red Sangiovese variety needs some more time. Each wine maker has his / her own strategy and is assisted by the winery´s oenologist: the idoneous moment depends mostly of the orientation of the vines, their altitude, the soil, continuous analysis, ancient knowledge…and a bit of luck ? There is kind of a non-spoken rule that till the grapes won´t be safely in the cellars, no one will dare to pronounce themselves about the result of a full hard working year. A violent rain fall or a sudden hail storm can distroy the production in just a few minutes. So: fingers crossed as long as the harvesters are out in the fields. 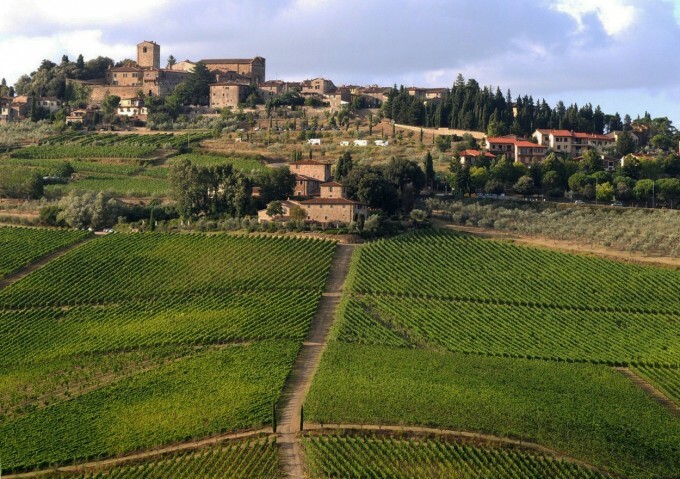 On the occasion of the Panzano wine festival Vino al Vino 2017 during a fascinating tasting, the Chianti Classicos of Panzano confirmed their longevity: 14 wineries opened their 1997 and 2007 productions. A true experience. Time will tell about the this year´s grapes once the vinification is concluded and the wines are aging in the bottles or the barrels. 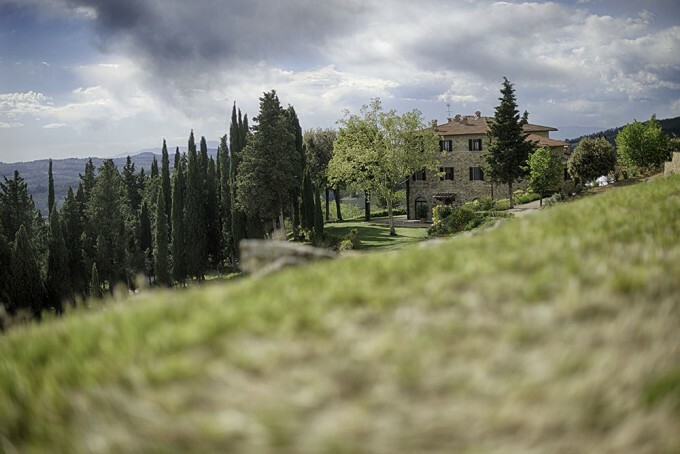 The Unione Viticoltori di Panzano in Chianti, founded in 1995, brings together 20 wine producers with the common goal of making wines of the highest quality, while respecting the soil from which they originate. This collective experience now boasts 450 hectares of organically farmed vineyard and has given life to the first ˜organic vinegrowing/winemaker zone” in Europe (biodistretto vitivinicolo). The morphology of the soil, the sustainability of the land and the commitment of each producer have resulted in Panzano being recognized as one of the top terroirs of Italy. Union is a key word for the Panzano producers: not merely a simple agreement between the farms, but the desire to offer a personal contribution to the common vision without compromising their respective identities as expressed through their products. 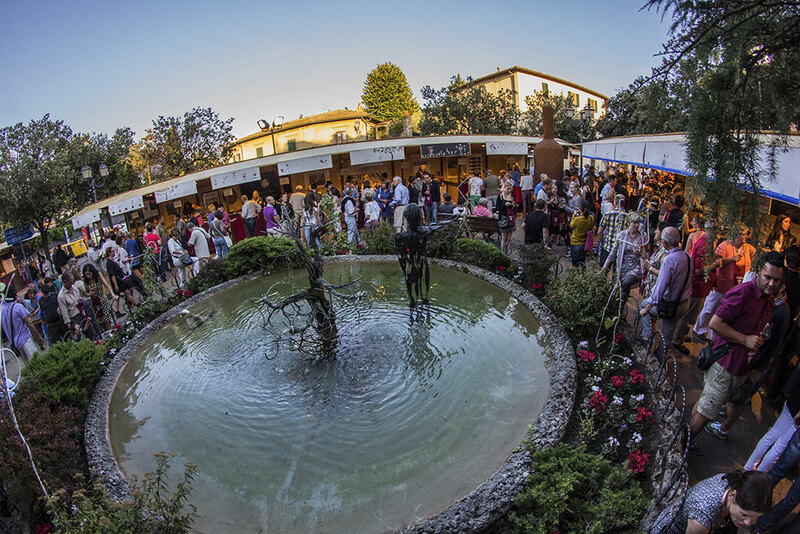 From Thursday 14th September 2017 to Sunday 17th September takes place our annual wine festival Vino al Vino at the main square / la Piazza di Panzano in Chianti. Don´t miss it. Tucked away in a panoramic and private location, surrounded by well kept vineyards, you find this Dimora Storica – a historical villa for your holidays. 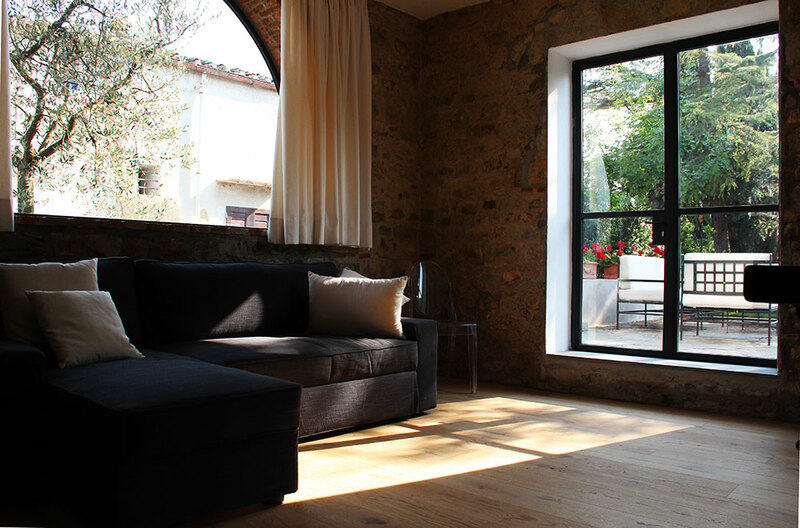 Here lays this beautifully restored, historical rental villa with its main part of the building which dates back to the 13th century. The villa sleeps comfortably 11 persons. A sophisticated blend of fine antiques, selected furniture and original Tuscan materials, in combination with an amazing painstakingly work of the owners, make it so special and enjoyable. 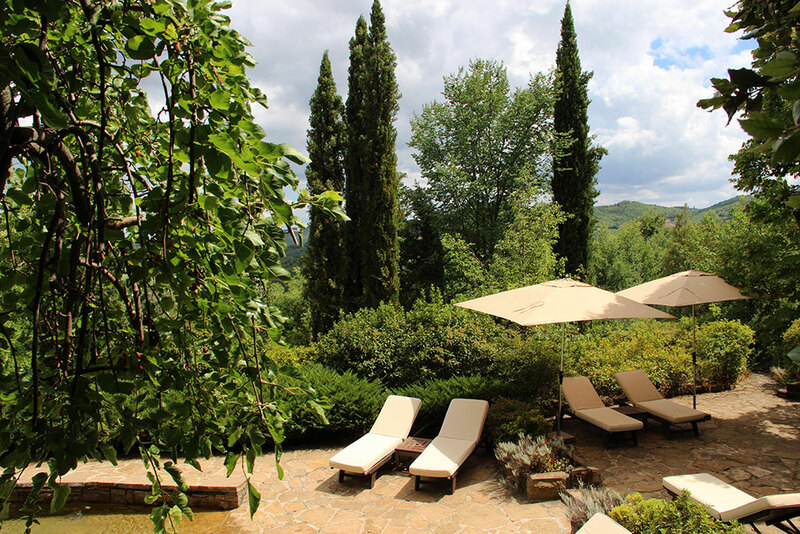 This oasis which belongs to the prestigious assosication of “Dimora storica” (the historical landmarks in Tuscany) offers a private pool, large outside areas with lounge and al fresco dining, a rose garden, boule, billiard and a tennis court. You will feel comfortable here during your holidays and so well looked after by the friendly and attentive staff. 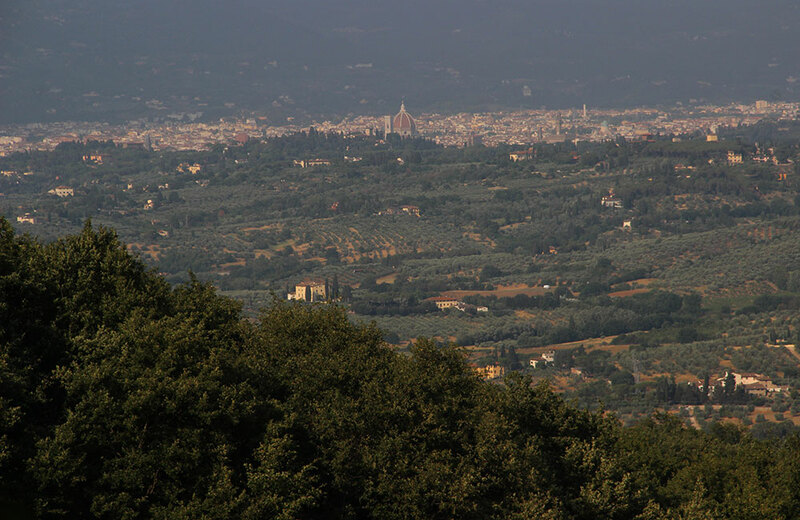 Even if a car is required to reach the little town of Panzano in Chianti with its wine bars, restaurants, shops and the Sunday morning market, you won’t miss the urban surroundings due to the wonderful service provided by the staff and a restaurant in walking distance. Stylish grandeur, yes, but combined with a warm welcome, that will make you feel at home! 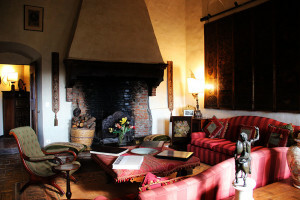 Recently I was contacted by the Florentine owners of a property which I am very fond to represent. The beautiful vacation home in Pian dei Cerri is an ideal base for your sightseeing in Florence and for a conscious life style due to an organic farm in the same area. 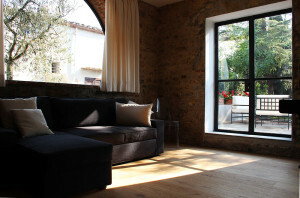 The rental home is located in Scandicci, on rolling hills very near to Florence (30mns away!) within an uncontaminated landscape. The holiday home allies the very traditional and fine structure to a modern furniture that works perfectly. It is located in a barn (fienile in Italian) whose windows have that very characteristic clay bricks carefully layed in a zig-zag manner… Hay (fieno in Italian) used to be stacked there in storage for winter, and it needed air circulating. Hence the openings with bricks which allow that air comes in, but the animals are kept out. After all – Impruneta and its famous “terra” is close-by. 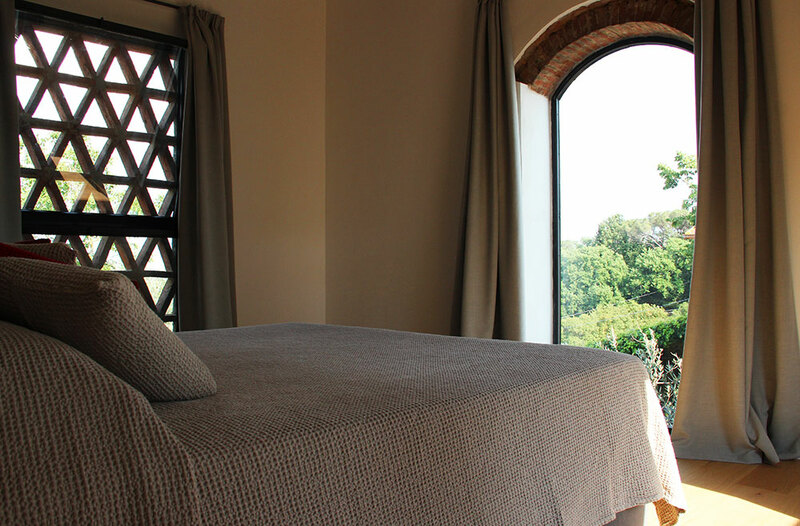 The barn offers a perfect ambience for two persons in a very quiet setting, far from the city’s traffic, but it opens a stunning view to Florence with its recognisable Cupola of the Cathedral. 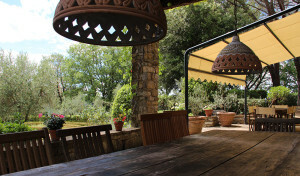 The close farm (www.fattoriasanmichele.it) and the family who runs it, grow certified organic farm products , wines and olive oil, which might provide the ingredients for your meals cooked in the extremly well equipped kitchen of the barn. All is cultivated with great care, with an attentive eye to keep the traditions and to our health. 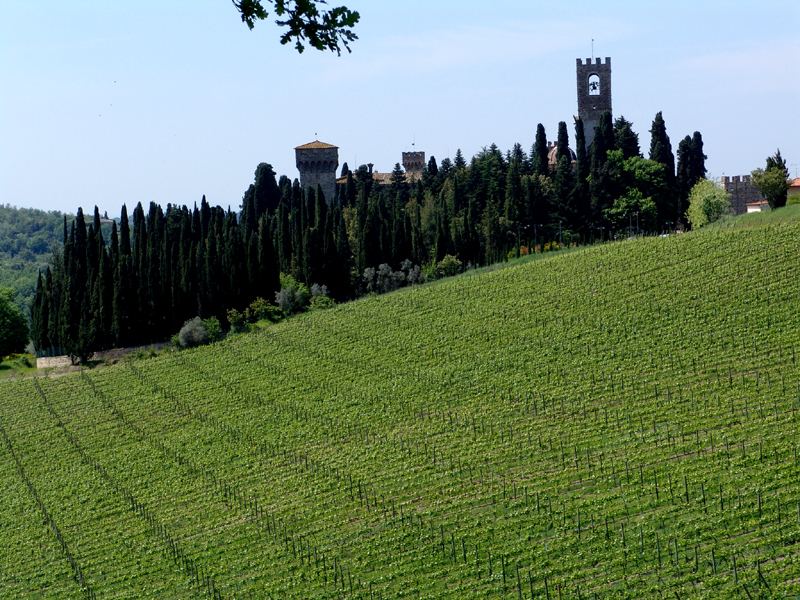 A hard work , surely – the wines are organic Chianti Colli Fiorentini, our neighbours from Chianti Classico ! Another not-to-be-missed cultural summer appointment in Greve and Panzano in Chianti, has been taking place for….23 years now. 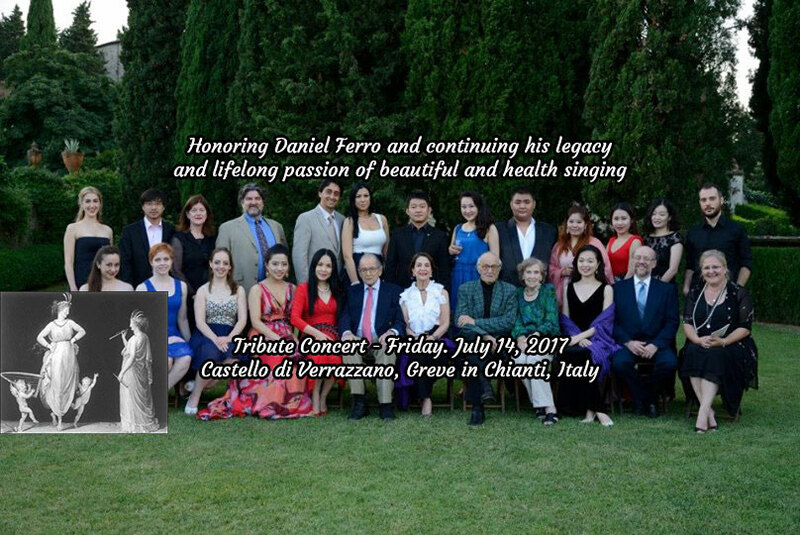 The New York-based Daniel Ferro Vocal Program, will open its new season on 14th July at Castello di Verrazzano. 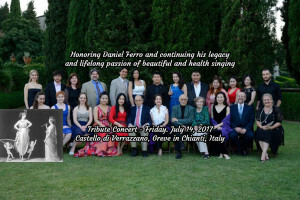 Though Daniel Ferro departed in 2015, the wish to carry on his legacy was strong. Quoting the Maestro for a final word “make me laugh, make me cry” referring to the vocal music he expected to be performanced by the singers. Hope to see you at the concerts, for one of those magic nights. 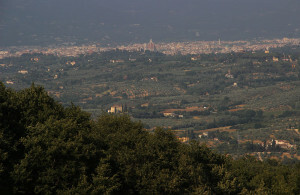 Here is summer again, and with its numerous cultural events planned in our Chianti region. 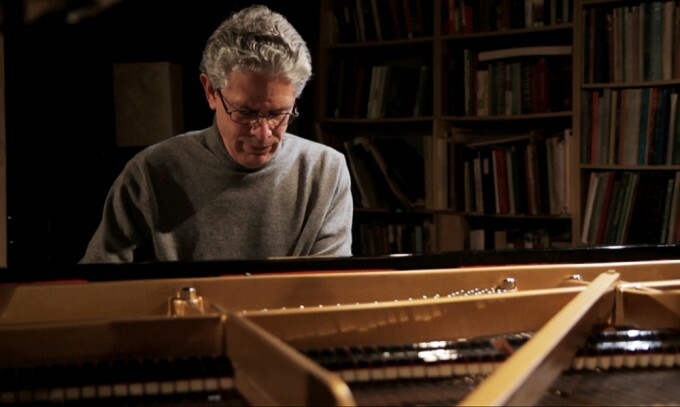 organizing, with deserved praise , a few concerts in July …that I am planning to attend. Hopefully a starry night sky, a gentle breeze will greet us. The black and slim cypresses rounding the Badia, that magic atmosphere will make you forget about the dusty white road coming from Panzano in Chianti…! Just remember that music is food for our heart and our soul! By the way, talking about food, if you have time, a scrumptious dinner will await you at the elegant Osteria di Passignano, with welcoming Marcello Crini and his staff. As always, excellency is based here in Badia di Passignano!